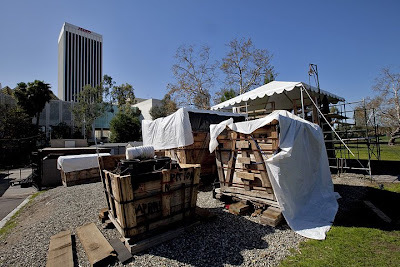 A massive bounty of Ice Age fossils were unearthed during the construction of a parking lot for LACMA which is located next to the La Brea Tar Pits. This huge discovery will easily double the Page Museum's collection of Ice Age fossils to 3 or 4 million specimens. 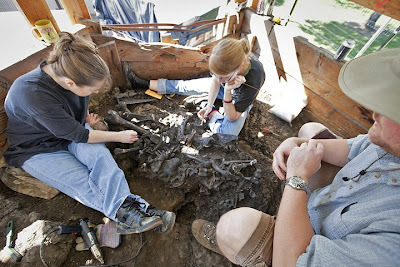 A almost complete 80%, a back leg is missing, Columbian Mammoth with 10 foot long dual tusk was found at the site. 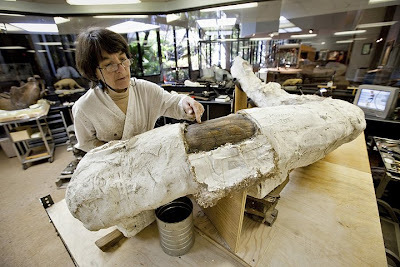 Lab Supervisor, Shelley Cox, named the Mammoth "Zed." 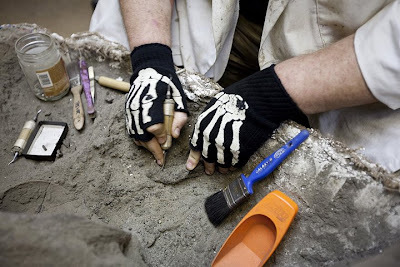 Project 23 was named for the 23 massive "tree" boxes which hold the unearthed fossils. 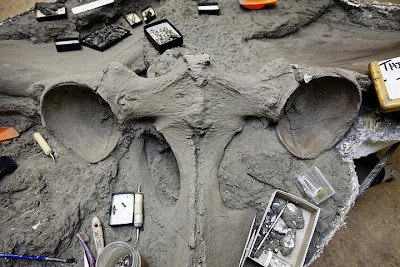 The fossils date back from 40,000 to 10,000 years ago and include pre-historic, lions, tigers, saber toothed cats, horses, bison, coyotes, dire wolves, and ground sloths. LA Weekly Slide show here.